Wishing you a beautiful day full of peaceful moments! I hope you have enjoyed my Meal prep week! It isn’t difficult to plan meals out, just requires a little time and thought! Think about what your family enjoys eating and go from there! When grocery shopping, consider those easy quick meals your family likes, such as a box of dirty rice and cooked sausage, pasta and jarred sauce, you get the idea! Also don’t forget to utilize the grocery stores prepared meals when you don’t have the time to prepare! ENJOY! This is a toss together recipe, no measuring! 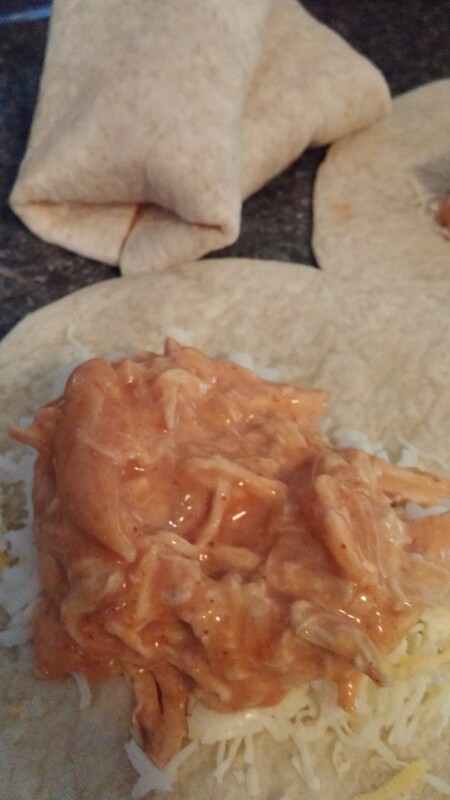 Mix shredded cooked chicken with enchilada sauce mixed with white queso sauce, rice and shredded mexican cheese. Place on a flour tortilla and roll up as you like. We roll it burrito style. Place in a baking pan and add enchilada sauce and cheese on top. Bake at 350 for 20 minutes.